Your oral health should never be taken lightly. It doesn’t matter if you have minor or severe health concerns. That’s why it’s important to choose the right professional when considering getting braces in Cannonsburg. You may think it’s just fine to visit your local general dentist. In reality, you should really be searching for an orthodontist that can provide the services you need and back you with expert knowledge in the alignment of your smile. Let’s compare a general dentist’s specialties to an orthodontist’s and see which is right for you. Does your dental issue call for a dentist or an orthodontist? It’s true that both dentists and orthodontists receive their dental education before practicing on patients, but which are does your dental professional specialize in? Why choose an orthodontist for traditional braces? Orthodontists are specialists in straightening teeth and aligning jaws, even advanced cases. Orthodontists are required to study an additional two to three years after dental school. Orthodontists are trained to choose the correct treatment option because they have a history of working with a variety of orthodontic problems. 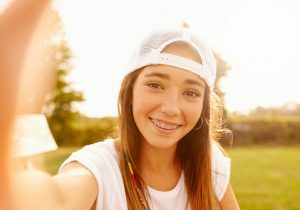 Orthodontists are trained to recognize the potential pitfalls with certain treatments and cases, which means there’s less chance of problems after treatment has started or been completed. Orthodontists are familiar with modern treatments and technologies so they can make the best choice for each patient’s case. Are you or your child looking to fix misaligned teeth? Instead of visiting a general dentist for help with your orthodontic problems, visit a trained professional like Dr. Cartwright at our Cannonsburg office. We would be happy to help you discover which straightening treatment is best for you. Contact us to day to schedule your consultation.